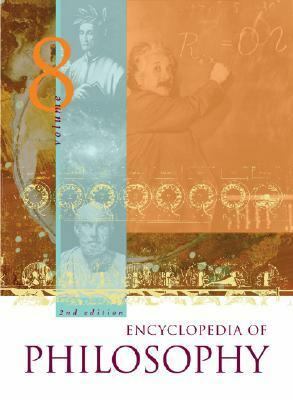 Since 1967, the Encyclopedia of Philosophy, described by Booklist as ''the best and most comprehensive English-language reference source for philosophy,'' has been the cornerstone of the philosophy reference shelf. Lauded for its clear and accessible presentation of wide-ranging philosophical subjects, the Encyclopedia has earned its place as a first-stop resource for general readers, students and educators. A Supplement to the first edition was released to critical acclaim in 1996. A new and updated edition of this multivolume set - the first comprehensive new edition in almost 40 years - has been compiled under the close guidance of a 20-member board of scholars headed by Donald Borchert (Ohio University). Containing material from hundreds of highly distinguished contributors representing the world's top universities and institutions, the new edition has a truly global perspective. It contains more than 2,100 entries - including more than 450 new articles. Among the many topics covered are African, Islamic, Jewish, Russian, Chinese, and Buddhist philosophies; bioethics and biomedical ethics; art and aesthetics; epistemology; metaphysics; peace and war; social and political philosophy; the Holocaust; feminist thought; and much more. Additionally, the second edition also features 1,000 biographical entries on major figures in philosophical thought throughout history.Borchert, Donald M. is the author of 'Encyclopedia Of Philosophy', published 2006 under ISBN 9780028657806 and ISBN 0028657802. Loading marketplace prices 3 copies from $999.00 How does the rental process work?